This book offers you an opportunity to internalize and directly experience the great wisdom of the Tao Te Ching, a collection of verses authored by the Chinese prophet Lao-tzu. “The words Tao Te Ching translate to ‘living and applying the Great Way.’ Although just 81 short verses, the Tao encourages you to change your life by literally changing the way you think. By reading through the verses presented here (which I’ve pieced together after reviewing hundreds of translations)—along with the corresponding affirmation I’ve created for each verse—you’ll be embarking on a path that encompasses the profound ideas that Lao-tzu intended to convey. Wayne W. Dyer, Ph.D., is an internationally renowned author and speaker in the field of self-development. He’s the author of 30 books, has created many audio programs and videos, and has appeared on thousands of television and radio shows. His books Manifest Your Destiny, Wisdom of the Ages, There’s a Spiritual Solution to Every Problem, and The New York Times bestsellers 10 Secrets for Success and Inner Peace, The Power of Intention, Inspiration, and Change Your Thoughts—Change Your Life have all been featured as National Public Television specials. easy reading,and yet makes you think!a book for everyone to detox,relax and be inspired to be the best you can! I read a verse each day....a good reminder. 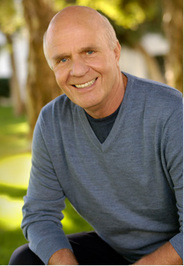 Wayne Walter Dyer is a popular American self-help advocate, author and lecturer. His 1976 book Your Erroneous Zones has sold over 30 million copies and is one of the best-selling books of all time. It is said to have "[brought] humanistic ideas to the masses". He received his D.Ed. degree in counseling from Wayne State University. He was a guidance counselor in Detroit at the high school level and a professor of counselor education at St. John's University in New York.